UAArtsEd.com is a place for teachers and families to learn about programs for school-age children, as well as family-friendly events for all ages. Lessons include performing arts, visual art, literacy, science and history. From field trips to workshops, in-school performances, and weekend events, UAArtsEd.com is your source for activities that stretch the imagination and strengthen the school curriculum. UAArtsEd.com is a program of United Arts of Central Florida. 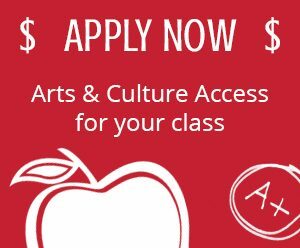 Through Arts and Culture Access Funding, teachers can obtain funding from United Arts for select programs. Funds are raised through government, corporate, foundation and individual support. To support one student costs just $5, or $100 per class. $500 can provide a whole grade-level trip or a school assembly performance. For the past three years, United Arts has offered funding to schools in Lake County to attend arts & cultural field trips and in-school programs, supported in part by State of Florida, Division of Cultural Affairs. Last year, schools receiving funding were Clermont Elementary, Eustis Elementary, Eustis Heights Elementary, Eustis Middle, and South Lake High. To learn about the application process for schools to attend an arts field trip or in-school program, go here. 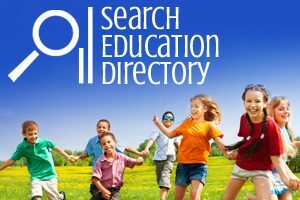 Over 100,000 student experiences each year in visual & performing arts, science & history programs listed on UAArtsEd.com. In 2015 and 2016, funded by Walt Disney World Resort, ALL 8th graders enjoyed a theater performance by Orlando Repertory Theatre at the Dr. Phillips Center for the Performing Arts. In addition, United Arts, with a grant provided by JPMorgan Chase and in collaboration with many partners, recently coordinated the creation of an arts careers training program at Evans High School – learn more about Career Pathways to Creative Sector Jobs here. United Arts produces the annual Principals Appreciation Breakfast for Orange County Public Schools to celebrate what principals do for arts education. Spring 2018 will be the 12th annual event. To learn more about sponsorship opportunities or to nominate your school’s principal for the Arts Principal Award, go here. To learn about sponsorship opportunities for the Principals Appreciation Breakfast, contact Elizabeth Neuman at Elizabeth@UnitedArts.cc or 407.628.0333 x222. Since 2013, with funding from Osceola School District and the State of Florida Division of Cultural Affairs, United Arts has ensured that all 5th graders go to the Young People’s Concerts with Orlando Philharmonic, and a variety of in-school arts programs reach elementary, middle and high schools. In May 2016, with funding from Tupperware, United Arts started the first annual Principals Appreciation Breakfast for Osceola School District to celebrate what principals do for arts education. Learn more here. Also coming up, with a grant provided by JPMorgan Chase, United Arts will replicate the Career Pathways For Creative Jobs program in the new STEAM (Science, Technology, Engineering, Arts, Mathematics) high school scheduled to open in Osceola County in 2018. This program prepares youth for high-demand back-of-house arts and entertainment jobs at area theme parks and cultural institutions. Learn more about Career Pathways to Creative Sector Jobs here. 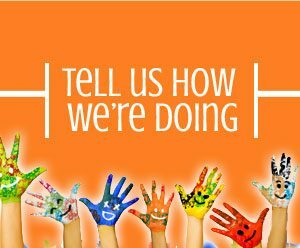 For the past three years, United Arts has offered funding to schools in Seminole County to attend arts & cultural field trips and in-school programs, supported in part by State of Florida, Division of Cultural Affairs. Last year, schools receiving funding were Millennium Middle, Wicklow Elementary, Winter Springs High, South Seminole Middle, Red Bug Elementary, Teague Middle, Highlands Elementary, and Seminole High. United Arts also received funding from Seminole County Public Schools for 16 years, including sending all 5th graders to the Young People’s Concerts with Orlando Philharmonic, as well as 3rd grade & AP art classes to the Orlando Museum of Art and in-school programs in music, theater, history and dance. ​To learn about the application process for schools to attend an arts field trip or in-school program, go here. United Arts of Central Florida is a 501(c)(3) nonprofit charitable organization and the one-stop shop for funding of the arts, sciences and history throughout Lake, Orange, Osceola and Seminole Counties. Since our founding in 1989, and through the generosity of our donors, United Arts has invested more than $136 million in local organizations and education, and through them, the diverse and energetic community that is Central Florida. Learn more about United Arts of Central Florida at UnitedArts.cc. © Copyright 2019 - United Arts of Central Florida. All rights reserved.